India’s economic growth is expected to continue in the coming decades, bringing with it increased per capita GDP and improved standards of living. India’s population is also projected to reach 1.6 billion by as early as 2036. The higher population and incomes are likely to come with not only increased demand for food but also higher demand for food from animal products, along with generation of more waste. The need for more food production will bring its own impact on greenhouse gas (GHG) emissions and may thus create additional complications for India’s climate goals. Agriculture adversely affects freshwater quality and quantity, land use and biodiversity and the greenhouse gas levels. If India wants to increase its food production without missing its climate targets, then it will need new science and technology solutions, behavioural changes and expansion of crop lands without degrading forest cover. This may sound like a tall order but it is attainable with early planning and concrete steps. India has rightly recognised the importance of tackling climate change and reducing carbon emissions for sustaining its economic growth and climate resilience. India’s Intended Nationally Determined Contributions (INDCs) under the Paris agreement aim to reduce its GDP emission intensity by 33 per cent to 35 per cent from the 2005 level by 2030. GDP emission intensity is essentially the increase in carbon emission for each point increase in GDP. India has also committed to create additional carbon sinks of 2.5 to 3 billion tonnes of carbon dioxide equivalent through afforestation. There is already evidence of some progress in increasing vegetation cover. A report of an Oxford University-led study in journal Nature as well as a recent report from the Food and Agricultural Organization have emphasised the need for the global food system to abandon the`business-as-usual’ stance to stay true to the`2oC warming’ goal. Reduction in meat consumption is highly recommended for reducing emissions and other environmental impacts since calories from meat products demand disproportionately high natural resources. The co-effects on health are well-established as well. However, cultural practices need to be kept in mind while raising awareness about negative impacts of meat consumption. There is also a need to reduce loss and waste of staple crops at production, transportation and consumption points. They are currently very high. Likewise, there is a need to reduce ‘added sugar’ in food items. This can reduce impacts on water and soil quality and provide health benefits. This is of relevance especially for a country like India whose population is genetically predisposed to diabetes and diabetes is already an epidemic. Investments are needed for technological changes and in food production management to increase yield, nitrogen utilisation, phosphorus recycling, optimal irrigation and other smart agriculture practices to reduce GHGs. Reducing enteric fermentation is also a high priority target for India where livestock is a major component of food production. Limiting grains for bio-fuels and appropriate pricing of food grains to account for externalities such as negative impacts on water and environment are advocated. Protecting food security of the poor as well as preventing undernourishment, micronutrient deficiency and obesity are critical in determining future pathways to sustainable food production. Innovations in food production are essential especially since growth rates have declined for all cereals, besides soybeans, sugarcane and maize. While population growth is expected to decline by 2050, per capita food expenditure as a percentage of per capita income is also likely to drop. Cheaper food may lead to higher wastage unless awareness is raised. Food and agricultural research should aim atsustainable andefficient food and agricultural systems, while also increasing their resilience to climate change and extremes. A report from the US National Academy of Sciences (NAS) has brought out more specific breakthroughs that would be needed in food and agricultural sciences by 2030. They include increasing nutrient use efficiency, reducing soil loss, improving food, animal and crop genetics, detection and prevention of plant and animal diseases and food-borne pathogens. 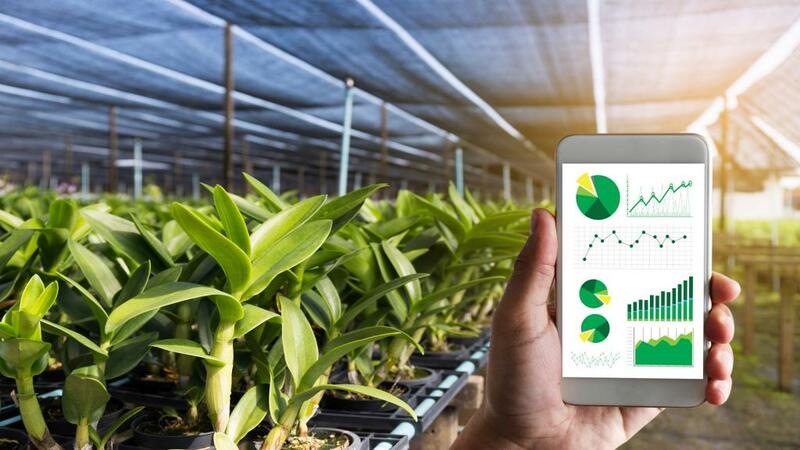 Advances in sensing technologies, data sciences, software tools, food and agriculture system modelsand informatics, and precision breeding are necessary. Despite the hesitation about genetically modified foods, capability of gene editing will be critical for sustainably increasing food production and quality. There is need for focused research on the role of animal, soil and plant microbiomes in crop production, animal feed efficiency, and the resilience of food and agriculture to the vagaries of the monsoon as well as climate change and extremes.The NAS report notes promising directions in crop and animal agriculture, soil and water use efficiency and production, which are driven by genomics, nanotechnology, and novel approaches in the integration of data, science, and technology.